Ove von Spaeth (OvS) conduct his case - just as a counsel for the defence would make it - for his client. In this case it is MOSES who is the client. If MOSES has asked to have his case and the defence by OvS, it is an interesting question? - You might almost believe it. The overall title for all the 5 volumes, "Assassinating MOSES", associates my thoughts towards a crime or a trial, and here it is, as you know, OvS pleading MOSES' case as if it were concerning his own life. The first four volumes of the series "Assassinating Moses" are all full of interesting claims, opinions, references, historical and archaeological evidence, to make visible Moses' sovereign abilities in different disciplines. It is for Moses' credit, for his legacy, and for us, the readers, who have not grasped fully the significance and the role of which Moses actually has played in history. OvS highlights Moses amazing abilities and potential - from thousands of sources and records - some even annulled by the future and its historians. The crime is underestimation of MOSES concerning his real historical importance by his groundbreaking work and his in several areas unknown genius. A kind of conspiracy against MOSES, according to OvS, of history recording priests of the past. He was dominantly known as a prophet - not highlighted as a commander or alphabet developer. The present Volume 5 is also very much about the alphabet's origin - or rather, its inventive development - established by Moses. There is no doubt that MOSES is a great occupation point in OvS's own life, and it is unavoidable being enthusiastic and seduced when we read and are guided through these huge, huge bulky historical, archaeological, philological and philosophical coherent links and references - of which MOSES is the centre of rotation. The chapters, which I found most interesting in this Volume 5 in the series "Assassinating Moses" are Chapters 16, 17 and 18 where OvS presenting a documentation on "Moses as the creator of our special alphabet". But I would also like point out that the book really brings up a greater number of exciting topics, for example, about the strange plagues in Egypt, and on Moses and the snakes, but not least the whole three full chapters on the ancient knowledge of astronomical knowledge of Egypt and of the Bible. 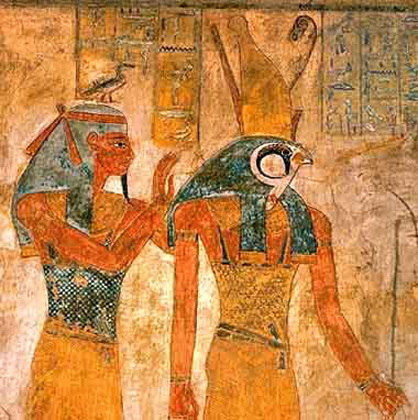 The chronology system used is the high-date style which are adjacent to the death of Tuthmosis III 1455 BC. The crux of the matter in these 3 chapters, is about the alphabet or, if you like, phonetic characters - which was used to write the Tables of the Law as Moses was dictated by God at Sinai. OvS leads with tons of reference evidence that the Tables of the Law were written with the world's oldest alphabet. OvS points out that this is the Sinai alphabet which is the basis for most other alphabets since then - also alphabets with the runes. The Sinai alphabet was used for a Semitic form of language that is older than ancient Hebrew and is described as proto-Semitic (archaic Canaanitic). It is not really possible for me to keep track of all the ideas, references, claims of interpretation, historical facts and knowledge in this discipline, and to provide a comprehensive summary of these three chapters, which are so specific in their content - and yet so furious interesting. The bibliography is fabulous. 48-pages bibliography. It covers the entire 5-volume-series. In addition, there are many secondary and background literature references. Personally, I am completely exhausted after reading this 5th volume of the series. It has been very interesting reading - and of course even more interesting if I have had exactly the alphabet inventor/history as a passion. But in spite of it is not my passion, much of the information that OvS presents along, I can use and it brings up many thoughts. OvS writes so engaged that it infects the reader and I think that OvS has let many interesting approaches emerge concerning the interpretation of the selected sources. As I have written in my former review of Volume 4 of the same series, I think OvS is a courageous man - and I still think that this it what he is. This is my opinion because OvS presents some pattern-breaking interpretations of the source material and he dare to do it - and, including, because he does not write these books in the name of science. - OvS writes, to begin with, on page 14: "This book is not a historical treatise or "proof" but a multidisciplinary presentation of a material which also includes lesser-known handed down information of traditions, data which previously were often disregarded as far-fetched myths. By this it has instead shown that older detail in the Rabbinical Writings can be corroborated by historical credible sources. - Further, OvS writes: "The book should not be considered comprehensive in the issues presented, but only as an introduction to them - with the perspective and incentive for further explorations." Etc. . I do not possess the technical competence to assess OvS's work - unfortunately, because there is no doubt that OvS has a huge and comprehensive knowledge - also of esoteric kind, all of which is now manifested for posterity. It is then up to each of us, whether we will meet this knowledge and make use of OvS's fantastic and magnificent research work. Each single chapter - gears up to many years of research. There has been found and presented as much source material that you better be a capacity of the field to assess fully the conclusions and assertions demonstrated by OvS. As a reader, you get full value for your investment of reading. Never have I seen or read such an intensely work based on also less-known scientific theories and sources. A performance out of the ordinary. Many great thanks to OvS for his life's work - it must be used and read - and not least inspire future's historical progressive curious people - and scientists in particular. Ove von Spaeth: "The Prophet and Unknown Genius", Assassinating Moses,Volume 5, 272 pages, illstr., C.A. Reitzel, Publishers and Bookseller, Copenhagen. This author guides us into an exiting and compound time travel, which is so complete, carried through in choice of words and research in ancient writings, star maps, and papyrus scrolls, and with lots of surprising info that it takes your breath away while you are following "the golden thread" all the way through all the books until you have turned the last page. A travel into present of the past - by these books you can be "buried" in the consciousness via the narrating historical panorama, which the author is leading us into. A presentation, which even penetrates enigmatic mysteries, making the reader rejoicing in enthusiasm. Really, it would be a fine intention also to use the whole book-series in the school, because the language is so worked through and written so precisely in order to be unmistakeable and make clear the greater and often very surprising coherence of the historical course. The children of the future would have, at their task of learning, a great benefit by reading this material and here, by working with the sense of the language, as a base to practice communication. Information concerning the works of Ove von Spaeth, author, historian, independent researcher - look into: www.moses-egypt.net , - also presented here is his solution of the enigma connected with Egypt's most ancient star-map: www.moses-egypt.net/star-map/senmut-survey_en.asp . (Ulla Runchel, born in Denmark, has lived in Spain for many years, where she developed PDT (Photo Dynamic Therapy) with fibro optica. A visionary and futurist searcher of new ways to cure illness using PDT with light, sound, and color, through crystals; - www.forvandlingskuglen.webbyen.dk - & - www.ulla-runchel.com . Her first book is "The Crystal Universe" and the next, "The Age of Light", all written in the peaceful and harmonic nature of the mountains of Mijas, Spain).